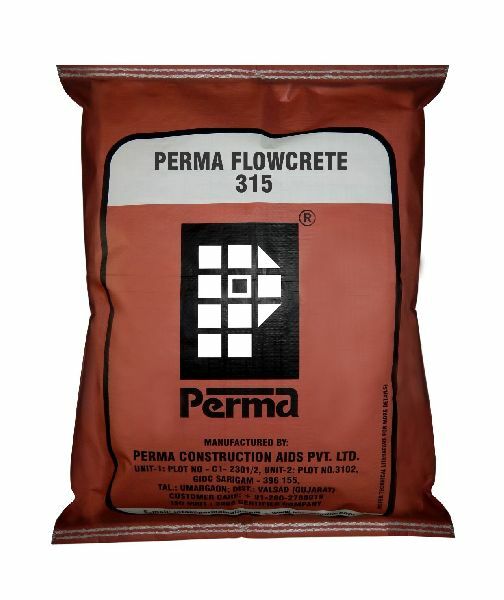 Perma Flowcrete is a cementitious grey powder with micro fine aggregates. Our Perma Flowcrete allows re-concreting of the damaged, dilapidated structures. Perma Flowcrete needs only addition of water to form a free flowing concrete with enormous initial and final strengths. Our Perma Flowcrete gives strength to the columns and beams with high speed. Primary Uses : Perma Flowcrete is useful to reconstruct parts of beams and columns with far superior strength and with very high speed. Grouting structural cut outs and recess in sanitary fittings like floor traps, annular spaces of pipe passes through walls etc., in residential buildings.